This past March, Procter & Gamble personnel authored an article in the Harvard Business Review telling how that product development and marketing giant is seeking concept products outside the company. These products then are developed by P&G cross-functional teams. Any feelings of “not invented here” are no longer allowed here. The concept would have been anathema a few years ago. To no one’s surprise, the role of R&D in some major companies has changed. For many, it means less research and more development. For the people with “traditional” R&D backgrounds, they’re learning to deal with the special considerations and complications of organic and natural ingredients in order to produce organic and natural end products. Organic as a trend is not news, of course. But when Kellogg converts a big portion of its product line to organics and Wal-Mart jumps in — both occurrences are only a few weeks old — you know it’s reached critical mass. Research departments are being charged with devising ways to trace ingredients, developing sets of additives and ingredients that are acceptable, as well as acceptable techniques for handling newfound food safety issues. And with healthier eating impacting all food products, R&D departments are deciding which new ingredients, especially nutraceutical ones, to add and which unhealthful ones they can remove … and how. Dealing with issues from glycemic index to probiotics leads to a greater emphasis on nutritional research and its application. The organic and healthful trends also are causing changes in the product development teams. There are some different hats on the team hat-rack, as more teams add nutritionists and even agronomists. The role of purchasing agents has expanded and become more complex, as well. But the teams are still teams. Like those in the National Football League, they shuttle players in and out and bring in new talent every year, but it takes a collaborative effort of many and varying talents to win the Super Bowl … or to launch a whole-grain, organic, sugar-reduced Cheerios. Cross-functional teams have gotten more cross-functional. The reasons for adding nutritionists, agronomic specialists and more purchasing agents are to meet market demands for nutraceutical and organic foods. Developing products that prevent and treat illness or improve general health requires following current nutrition research done in hospitals and academia (as well as a few food companies); thus, nutritionists have joined the team. According to at least one director of research, nutritionists can split the team when they first join. Initially, some are anti-industrial, others are anti-marketing. But the good ones add a lot of insight to the team, improving products and growing sales. The days when “nutrition doesn’t sell” appear to be gone, and nutrition is a major selling point, especially if it’s presented well. The other active trend, organic food, means the addition of purchasing agents and agronomic specialists to the team. Their arrival introduces new terminology to the lexicon. R&D has had to add terms like “sustainable pest management” and “soil management” to its vocabulary. Organic foods are governed by yet another set of USDA definitions that are sometimes at odds with some food safety requirements. Most of the pioneers and the major organic brands already have agronomic expertise. They are skilled in the science of identity preservation and acreage contracting, pulling the business of food back past the farm gate into the field. Campbell Soup Co., Camden, N.J., has been at the forefront of introducing organic versions of conventional products, including organic tomato juice, V8 vegetable juice, Prego pasta sauces, Pace picante sauces and Swanson broths. The first product, organic tomato juice, was introduced in October 2003, and was the product of joint agricultural research by Campbell and University of California at Davis. Campbell has been at the forefront of managing pests without chemical addition and using a version of USDA’s Pest Management Program to reduce chemicals and increase the acreage of organically grown tomatoes. There’s no doubt organic foods are big. The Organic Trade Assn. reported in May organic food sales totaled nearly $14 billion in 2005, representing 2.5 percent of all retail sales of food, up from 1.9 percent in 2003. According to survey results, sales of organic foods are expected to reach nearly $16 billion by the end of 2006. Whole grains and fruits and vegetables got a big boost from the 2005 Dietary Guidelines for Americans. Partly because of the push from ingredient companies, whole grains and phytochemicals from soy, cocoa, tomatoes and other foods are being promoted as both components of a healthy diet and as curatives for some diseases. Major companies bought in and created or reformulated products with nutrient possibilities. At this past May’s Food Marketing Institute (FMI) Supermarket Show, Kraft introduced a number of whole-grain options (DiGiorno Harvest Wheat Crust Pizza and four varieties of whole-grain cookies and crackers from Nabisco) as well as new South Beach Diet products. The South Beach line, by the way, broke $170 million in sales in 2005 and is expanding with 20 new products in 2006. Despite the changes brought by these two trends, product development teams don’t look too different than they did a year ago when we did our last R&D survey. Nearly all companies surveyed report using formal to informal teams, and all those teams certainly include key personnel from the R&D department. Slightly fewer teams include marketing personnel than last year (75 percent this year, compared to 94 percent last year), possibly explained by a few companies that added development titles in R&D that were marketing titles last year. Manufacturing included personnel on 83 percent of this year’s teams, compared to 98 percent of last year’s teams, possibly caused by more outsourcing of manufacturing. Interestingly, suppliers were included in one way or another on the teams of all respondents to our survey. And the intimate use of multiple suppliers doubled — but companies using multiple suppliers on teams were more likely to be in the organic or nutritional foods arenas. Fewer teams seem to be meeting in person as teams move to teleconferencing, and several firms reported that suppliers are invited to join conference calls on an as-needed basis. The portfolio of activities within teams covers a wide variety of projects. The traditional answers (new product development, product refinement, cost-cutting) all remain, but package development seems to have dropped off. Prototyping has crept upward. He also sees ingredient suppliers, in particular, making R&D and marketing work closely together to provide precisely what food processors need. In talking to the R&D people, a fair amount of new product activity results in an organic version of an existing product? New? That depends on your point of view. We saw product development cycles shorten considerably last year over our 2004 survey, but there was minimal movement this year. Team leaders note that projects most often get finished within even a three-month deadline when there’s existing research and information and if they get a heads-up on the project before the assignment. The short-term projects that dragged on were those that team members felt had unclear direction and measures of success. It seems those projects that were discussed around the water fountain were finished quickly, while those that were a big secret before assignment tended not to fare so well. The usual reasons for failure to complete projects on time were lack of available ingredients, changing regulatory opinion and problems with processes. But several team leaders reported that projects were pulled or redefined, that shifting upper management caused changing priorities and that they had been concerned about the projects to begin with. When asked if upper management knew of their concerns, at least one team manager noted that the manager was new, and the team leader was afraid to express a negative opinion. This work doesn’t go on in a vacuum. R&D departments watch consumer trends, with health and nutrition ones at the top of the list. What do they do with the observations? Generally, the research team studies the kinds of information they will need to provide input to products assigned to them, both for new products, and for modifications. Modifications of current products is on the plate of 66 percent of teams this last year, 61 percent of last year’s cohort, and 85 percent of teams existing in 2004. During 2004 and early 2005, there was a major push for line extensions, which has since dropped somewhat. Again, definitions (is an organic product a line extension or a new product?) come into the picture. Work on “healthy” food product is now on everyone’s to-do list; 100 percent of today’s teams are working on healthy foods, compared to 98 percent of both last year’s group and the group in 2004. Work on line extensions, was only on 25 percent of the project lists for this year’s teams, half the percentage reported in 2004. But teams working on organic products or “healthy” foods do not perceive these products as line extensions. R&D departments have upgraded their sources of information in recent years. As companies become larger, they hire better trained individuals for their departments. Most of the major companies we spoke with are adding Ph.D.-level scientists to their departments, and are adding more diversity of training. Almost 87 percent of the companies answering our questionnaires had chief research officers with doctorates, and they were not all food scientists, although the majority had studied in that discipline. They attend short courses (55 percent had been to one in the past two years). All of the groups reported getting information from suppliers, generally technical information about ingredients or processes. About half studied current patents, or receive information about patents on a formal, consistent basis. Consortiums, such as those sponsored by universities, and government agencies appear to be losing favor. Despite fears that Walmartizing organic foods will bring prices so low that there will be a shortage of organic ingredients, organics are likely to see continued growth, at least for the time being, according to survey respondents. As more ingredients are marketed that can be certified as organic (sugar, starches, spices, natural colors, fruit ingredients) more products can be produced in this category. 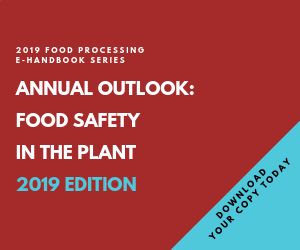 Another trend is the push for “fresher” foods, and research will continue to look at ways to minimally process foods for safety without changing the flavor and texture very much. Looking for new ingredients and their uses is of interest to food companies, both those involved in retail foods as well as ingredient suppliers. New activities in basic ingredients that suggest future products includes Nestle’s work in new strains of lactic acid bacteria for use in milk-based products; Unilever’s reported work on tomatoes with a different set of flavanols at enhanced levels; Kraft’s new work in deflavoring soy ingredients using pH control and ultrafiltration for use in delicately flavored foods. Is research changing from food science to a combination of disciplines? It would appear so, with increased attention to culinary arts, cutting edge nutrition, and the science of producing raw materials with more emphasis on nutrition and flavor than cost. As Rick Shearer, president of Oscar Mayer Foods noted recently in the Madison (Wis.) Business Journal, “Consumers’ focus on health and wellness is no longer a come-and-go trend. It is building multiple consumer segments of people seeking no sugar, organic or natural ingredients and other foods.” Meeting these consumer needs requires a lot of science from a lot of different people. As we have for several years, we sent surveys to about 125 companies in July and August. Some of the responses included verbatim comments, and personal interviews were conducted with a few generous folks.